The holiday season is upon us and if you’d like to throw a party for your friends and family, it’s time to get organized! Worried about blowing your budget? Don’t be! 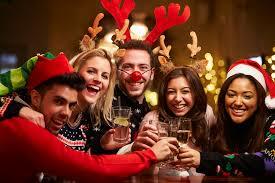 It’s not that hard to keep your party fun and festive while avoiding the temptation to over-spend. Consider the cost of necessities: food, drinks, decorations and anything else your get-together can’t do without. Now weed out anything that’s not really a necessity. Do you need more decorations or is there already enough stuff packed away in the basement or attic? How much food will you actually need? What about making this a BYOB event? If you’ve hosted a party before you’ll have a rough idea of what it will cost. If not, get estimates online. If your original plan falls within your budget, you’re golden. If not, you should have an idea of areas where it’s possible to reduce expenses. First, give some thought to your guest list. How many people will you be feeding? Are you thinking sit-down dinner or more of a come-an-go kind of arrangement? Will children be present or will this be an adults only soiree? Each of these points can have an impact on the overall cost. Obviously, the larger the crowd, the more food and beverages you’ll need and a full meal will require more time, effort and likely be more expensive. You might consider hosting a brunch instead of a dinner. Breakfast items tend to be cheaper so you’ll spend less at the grocery store. A more casual affair could lend itself more easily to a pot-luck arrangement (which is obviously helps your bottom line), a buffet or even just hors d’oeurves and snacks. People tend to graze at a buffet-style table and often eat less than they do at a formal meal. Plus you’ll be able to get more food prepped ahead of time. If you expect to invite children, keep their preferences in mind and keep it simple. No youngster ever said no to Christmas cookies and hot chocolate with marshmallows! As for beverages, think about exactly what you intend to provide. You don’t need to supply a full bar, it’s perfectly acceptable to offer a signature drink and ask your guests to BYOB. Likewise, it’s ok to go the non-alcoholic route. Drinks like egg nog, pop, water, hot chocolate or warm cider can often be bought in bulk, don’t cost an arm and a leg and you won’t have to worry about guests driving home when they’ve had “one too many”. 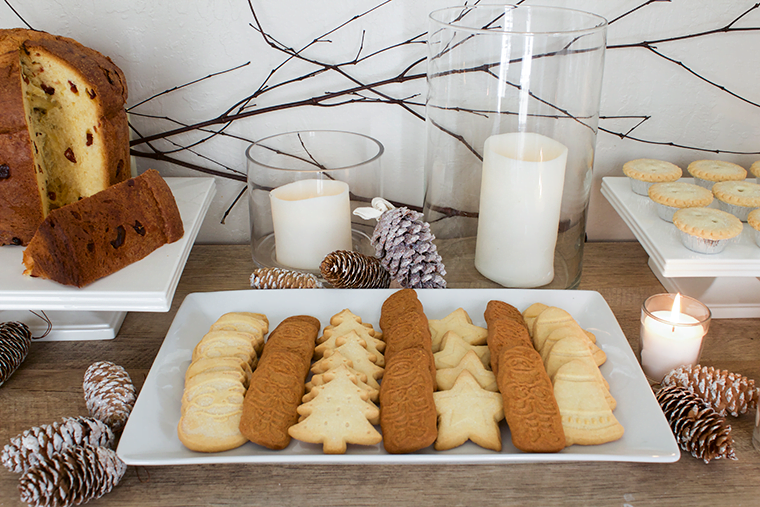 When the time comes to decorate, resist the urge to over do it! Older well-worn family items usually have a charming appeal precisely because they are so well loved and well-worn. Reuse what you can and supplement your stash of holiday baubles with new items you found at the dollar store, hand-made paper snowflakes or greenery brought in from your own backyard. Those little ones who were invited can add to your holiday decor if you set up a craft area in a quiet, out-of-the-way corner. Stock a table with paper, scissors, glue, glitter, and odds and ends you picked up on that trip to the dollar store. The most important thing to remember is the reason you’re throwing this party: to spend time with the people who mean the most to you. Your guests are there to see you and to see each other; they don’t really care what decorations you bought or how much you spent on food and drinks. Relax, mingle and enjoy your company!